The first time I made the green tea cake was with butter cream frosting, though I enjoyed the cake, butter cream frosting was totally out of place, it didn't gel well with the cake (wrt my taste). After that series of time I tried with fresh cream, simpler but a killer combo! Few weeks before while I was in Netherlands along with a friend, we binged on most delicious sushi, chicken wings and finished it off with a scoop of green tea ice and black sesame seed ice. Black sesame seed ice cream was interesting not something I long or look forward to eat again….but green tea ice cream I always long for. Since making ice cream wasn't in agenda, I had to opt for green tea cake. Made them as sheets and layered them as little pastries along with fresh whipped cream. Everyone at the work place enjoyed it Tada!. Though this recipe was not intended for the blog purpose (no fancy pictures), I have to record them here since cake was super light and spongy! Happy baking! I typed, retyped and deleted already 5 times now, will not keep this post waiting for another day...all I have to say is I'm enjoying doing basic recipe's. Fortunately or unfortunately I don't get all required spice powder's here, which has kicked the basic instinct in me to start everything from scratch. Thanks to coffee powder maker, it grounded my sambar powder beautifully. This post is heavly loaded with pictures...I did the shoot on a bright sunny day with good light diffusor (2 white curtains) and also made proper use of camera stand. Took the pictures in raw format and did minimal editing. 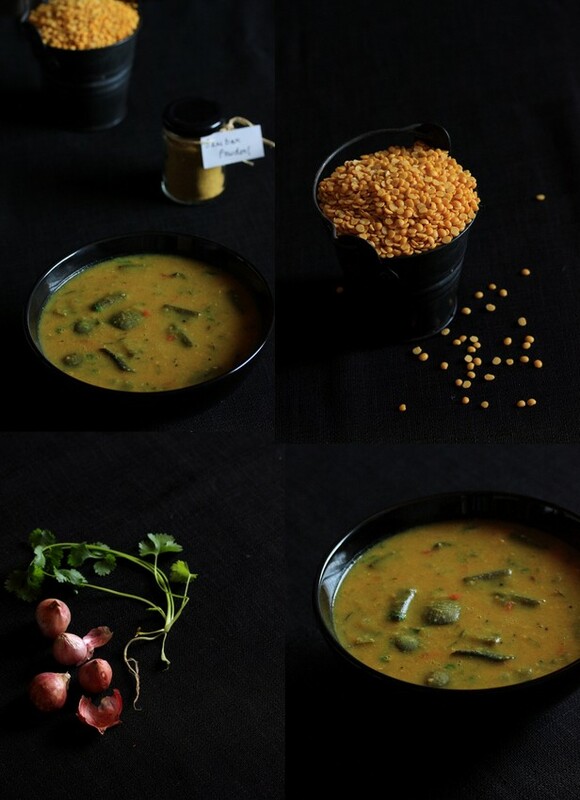 Totally it was enjoyable recipe to make and to shoot! 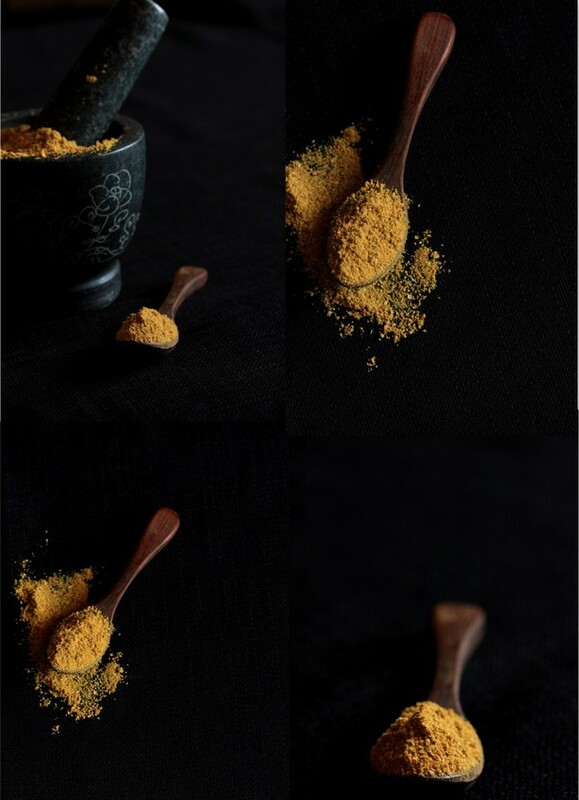 Sambar powder recipe is from mom and aunt, it does't taste like commercial or something from restaurants, but i can say it has simple, beautiful and fresh flavour. I'm proud of making sambar powder by myself, considering my limitations of vegetarian cooking ability! Though there are so many varieties of sambar and every house has a unique way to prepare it, this is how its made at home. I prefer thicker consistency for rice and more runny for idly and vada. Geek note: using camera stand brought great clarity and sharpness to pictures. Will stick to it from now on, can't trust my wobbly hands anymore. Also thumbs up for pictures in raw formant, you can play a lot with it. Happy cooking peeps!